There are no shortages of Irish seafood recipes with Cockle being one of them. Cockle soup in Ireland is an extremely popular dish that can be found in a lot of restaurants and even in some pubs that also serves food. 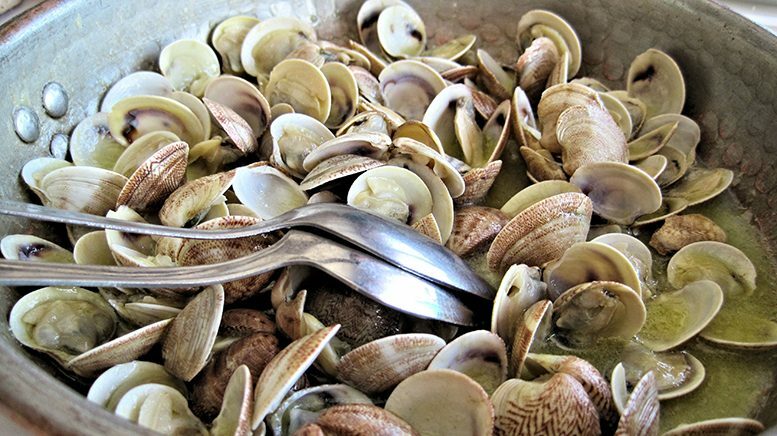 Cockles are a small, edible, saltwater clam that can be found in sandy beaches during low tide. Gathering cockles still remains the same as it once did hundreds of years ago, all by hand. With Ireland having some of the best beaches in Western Europe there are plenty of cockles to be found. Soups made with seafood have always been popular in Ireland such as cockle soup. Melt the butter in a pan and seat the onion gently until soft, stir in the flour and cook for 1 minute. Serve with crusty bread or fresh baked Soda Bread.